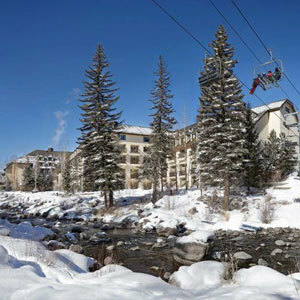 The Hotel Talisa property located in Vail, Colorado, features hotel bedding made by DOWNLITE. The Hotel Talisa uses our 25/75 feather blend pillow. This pillow contains 25% down and 75% feathers. Due to the unique nature of this item - as the hotel buys it - is not available to home consumers. However, it has a very similar item under our Eddie Bauer bedding collection. The big difference below is that the fabric is upgraded and it is branded - but same feeling in terms of density.